In what is now an international effort to quell the mosquito-transmitted Zika virus disease, the stakes are all too high. Since the virus was first isolated in 1952 within the Zika forest near Entebbe, Uganda, confirmed cases of the disease have been rare 1. However, in 2007 a major epidemic occurred across Southeast Asia, and now leading Ministry of Health authorities in Africa are increasingly concerned about the risk of an outbreak on the continent2. In the current Zika outbreak, infections have been reported in over 30 countries globally since 20153 – including more than 7,000 suspected cases in Cape Verde, off the west coast of Africa4. 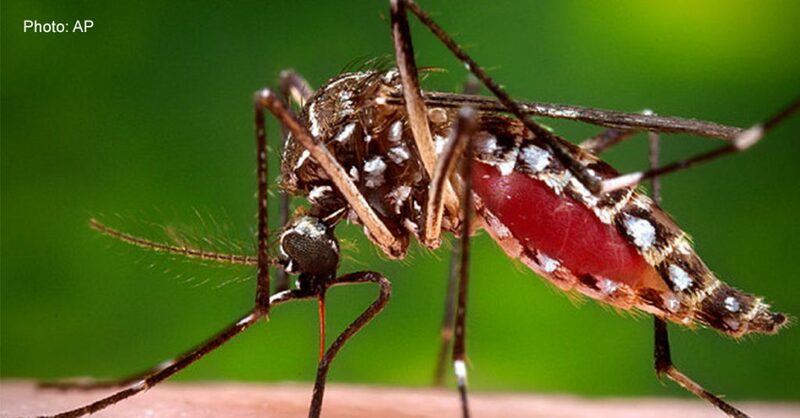 Zika infection can cause either asymptomatic infection or low grade fever, rash, and muscle and joint pain, all of which can be mistaken for dengue fever, a tropical disease also transmitted by the Aedes mosquito species5. The geographic expansion of the virus in recent years, coupled with as yet unconfirmed links between Zika and two conditions, microcephaly (congenital smallness of the head and incomplete brain development) and Guillain-Barré syndrome (an autoimmune nerve disorder), led World Health Organization (WHO) Director General Margaret Chan to announce Zika as a Public Health Emergency of International Concern (PHEIC) on 1 February 20166. While no vaccine or treatment currently exists for Zika infection, scientists and public health experts have been racing to gather the knowledge and tools necessary to combat the Zika virus7. The World Health Organization is encouraging cross-cutting approaches to curb the disease, which include vaccine development, mosquito control tactics, education campaigns, the use of genetically modified insects, and new rapid diagnostics8 9. There is a great need for new, commercially available Zika tests that have undergone independent validation and regulatory approval – both critical steps to safeguard against the dissemination and use of low-quality tests10. 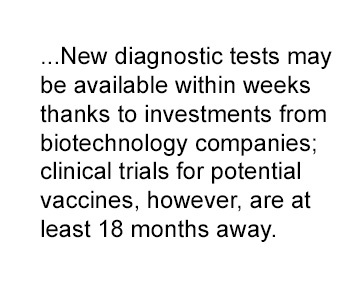 In recent developments, the WHO indicates that new diagnostic tests may be available within weeks thanks to investments from biotechnology companies; clinical trials for potential vaccines, however, are at least 18 months away11. In Africa, laboratory capacity to test for Zika is limited to leading laboratories such as the Uganda Virus Research Institute and the Pasteur Institute of Dakar, Senegal. These laboratories are also able to quickly identify, respond to, and contain Ebola cases. This ability to diagnosis Zika, Ebola, or other threats highlights the ever-increasing role of national public health institutes in protecting community health. A new, more readily accessible Zika test would allow other facilities within the tiered laboratory network to respond to a Zika outbreak. Following its public health emergency declaration, the WHO announced on 5 February 2016 the opening of the Emergency Use Assessment and Listing Procedure (EUAL) for new Zika virus in vitro diagnostics (IVDs). Established during the 2014 Ebola outbreak, EUAL serves as a fast-tracked assessment of new IVDs for international procurement during emergencies12. While the EUAL process does not serve as a WHO prequalification, it provides a measured response to address the Zika outbreak.